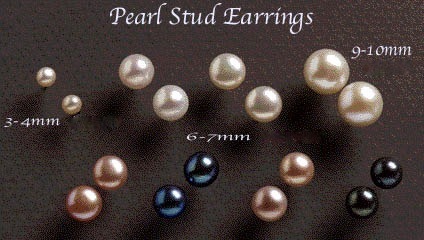 Freshwater Pearl Stud Earrings with 9-10mm button shape (slightly flattened) pearls, (pictured at top right). 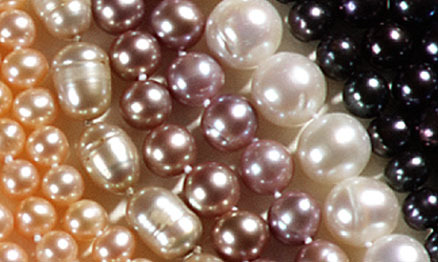 Available in white, black, chocolate, mauve, peach. $90 with 14k Gold Post/back; $35 with Sterling Silver Post/back.